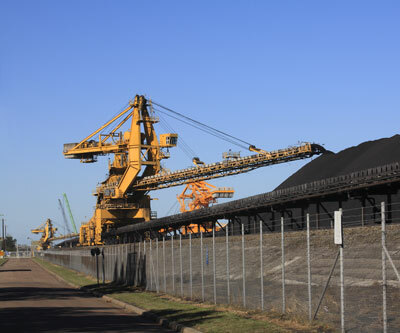 Grande Cache Coal Corporation (TSX:GCE) ("Grande Cache Coal") has reached an agreement with Westshore Terminals Limited Partnership to exclusively handle Grande Cache Coal's annual coal tonnages that it ships through a West Coast port from April 1, 2012 to March 31, 2022. The commercial terms of the agreement are confidential. The prior contract that covered shipments of coal from the Grande Cache operation was set to expire on March 31, 2013 and this new contract amends and replaces this former agreement. "We are pleased to have a long term agreement in place that ensures we will have port capacity available for the next 11 years," said Robert Stan, President and Chief Executive Officer of Grande Cache Coal. "This agreement also allows for increased volumes of coal production and sales expected from our mine expansion program beginning this year." Grande Cache Coal is an Alberta based metallurgical coal mining company that produces met coal for the steel industry and holds coal leases covering over 22,000 hectares containing an estimated 235 million tonnes of coal resources in the Smoky River Coalfield located in west-central Alberta.